Portugese\Spanish restaurants are rare in India, and more so in biryani-obsessed Hyderabad. 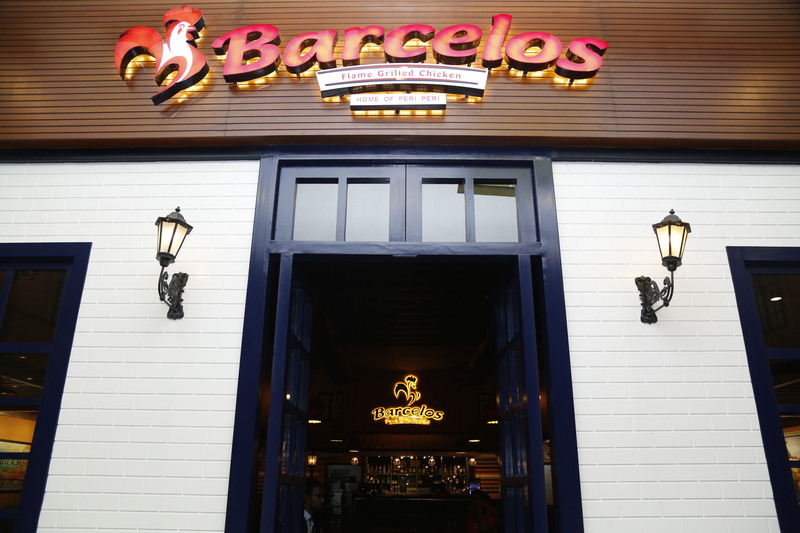 So the recent launch of the Portugese restaurant chain Barcelos, based out of Pretoria, South Africa, and globally famed for its flame grilled chicken and sangria bar, was a definite new for Hyderabad’s F&B industry. This, incidentally was their second outlet to have launched in India, after New Delhi. 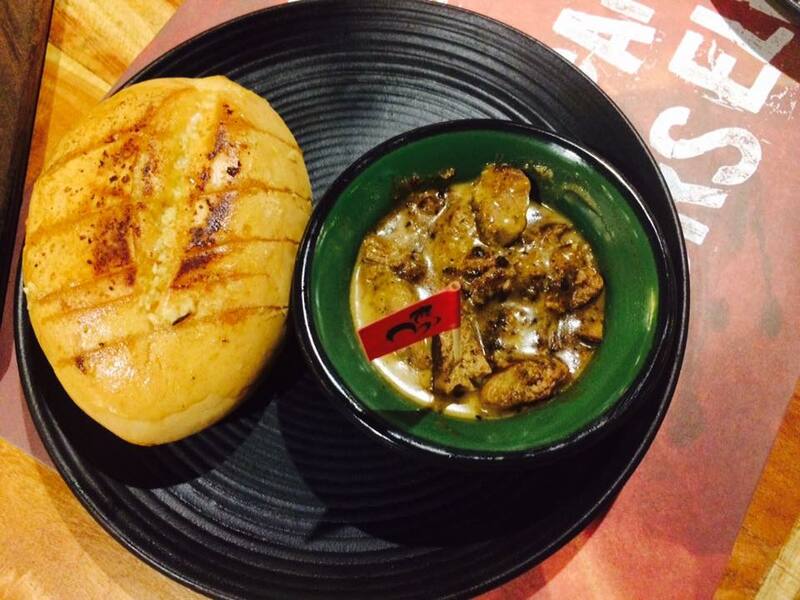 Barcelos, which opened its doors at Sujana Forum Mall, Kukatpally, has a spacious and bright-lit warm ambience. 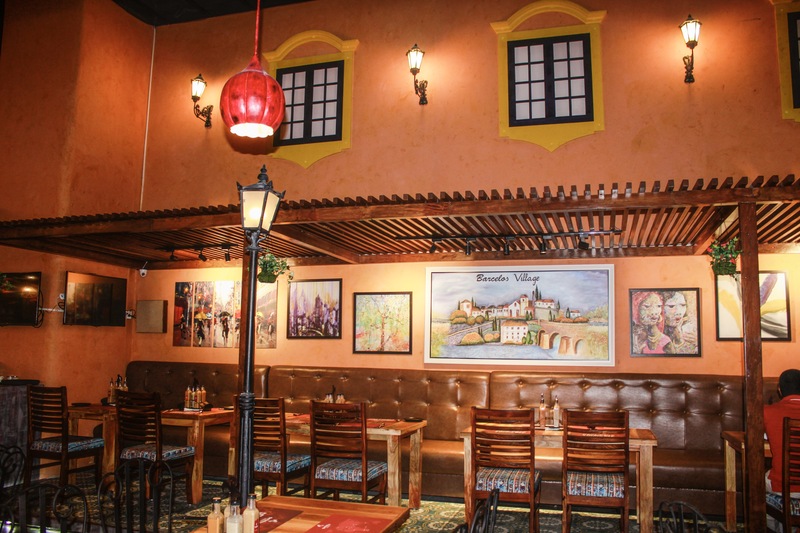 “We are moving our business model from high streets to malls, and promoting Barcelos as a fun-promoting, family dining place. We are expanding our operations, hoping to enter more metropolitan markets in India in the near future, ” says Rohit Malhotra, the business head of Barcelos India. On the menu is a host of Mediterranean dishes of the Mezze platter, pita breads and hummus-dips kind, falafel wraps as well as Afro Portugese rice dishes, salads, wraps, gourmet burgers, pastas, grilled chicken dishes, including the Portugese special Espetadas, (hanging skewers of chicken and vegetables) but lets talk first about their signature dishes, namely the Peri Peri Flame Grilled Chicken, chicken liver with port roll and Our Famous Black Burger. 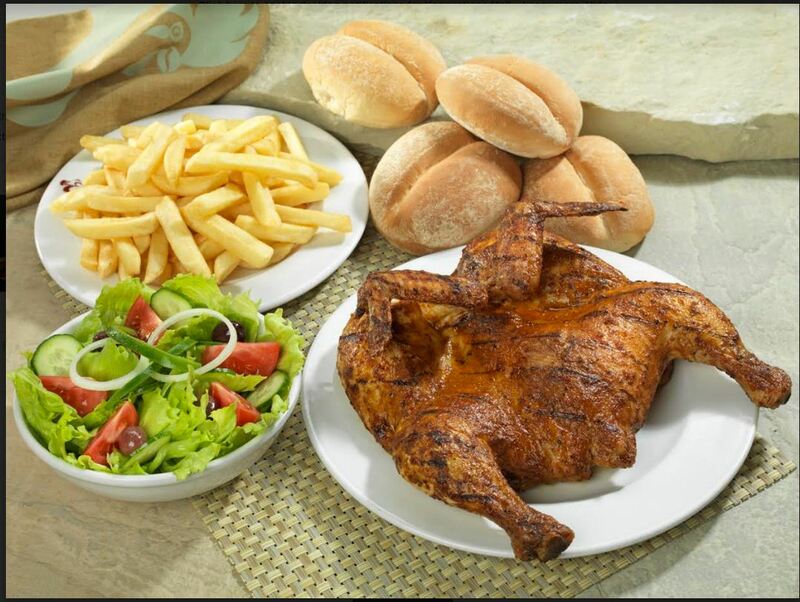 Also, the USP of Barcelos is the use of an essential Portugese ingredient, the Peri Peri spice. While Peri Peri, also known as African Bird’s Eye chilli is grown primarily in Africa, Peri Peri spice is mostly made and used in Portugal. An unique accompaniment on all tables at Barcelos is the assortment of Peri Peri sauces, which come in different grades and flavourings: the Mild Peri, the Veri Peri, the Supa Peri (for the really hot palates) and the Tangy Lemon. I chose a mutton patty for my black burger and could only manage a small bite, as it was humungous, not just size-wise but with all the mozzarella cheese, lettuce, onion and jalapeno and peri mayo, besides the rather chunky mutton filling, which was quite delish. There are choices of vegetarian and chicken for all the burgers, as well as red, white and brown burger options, depending on what has gone into the dough like beetroot for red etc. 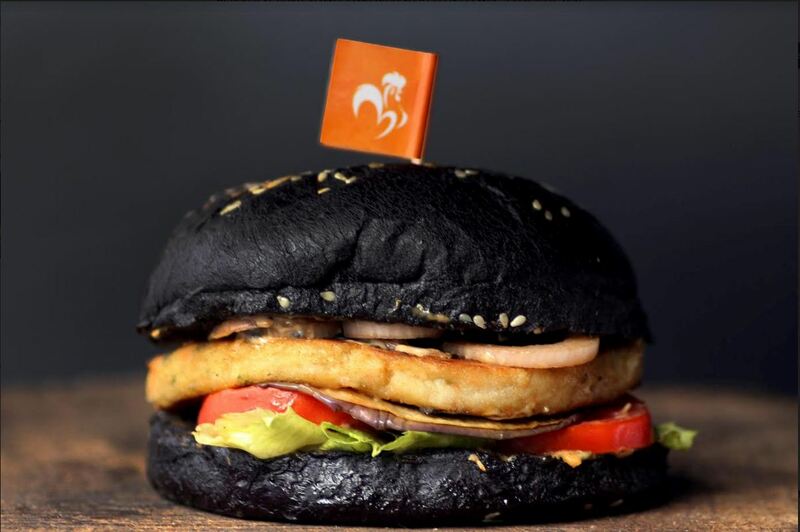 But what grabbed my attention was the Peri peri Flame Grilled Chicken, which also happens to be Barcelos’ signature special. The peri peri marinade is used on the chicken for a good 24 hours and then grilled over a flame to crisp perfection, the best part is that it comes in different size versions like quarter, half and a full grilled chicken for a large family! I quite liked the crisp outside, just rightly cooked inside texture of the chicken though I thought the peri peri flavour was a tad bland and missing, for the most part. While Peri Peri, also known as African Bird’s Eye chilli is grown primarily in Africa, Peri Peri spice is mostly made and used in Portugal. We next tried the Portugese Espetadas, a hanging dish of chicken thighs, onions and peppers on skewers which was a bit like chicken tikka in a light marinade. A word here about the sangrias at Barcelos. 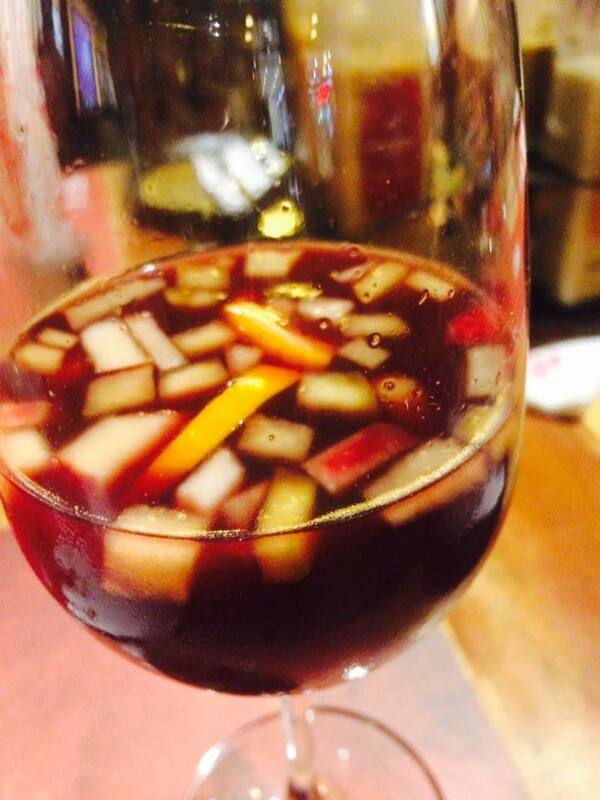 Being a sangria bar, there is a full-fledged sangria menu and I deigned to try the Traditional Portugese sangria, a red wine and brandy-triple sec concoction with orange and apple chunks and was rewarded with a fresh, fruity aftertaste. The Madeira Peach sangria and white sangria were good, making me resolve to definitely come back for trying more sangria options. There was no space for desserts, so did not try anything more, but went away with a resolve to come back to try some more sangria and burgers. 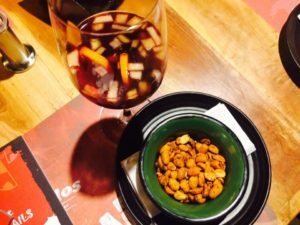 Disclaimer: This review is based on an invite to a blogger’s table extended by the ownership-management of Barcelos.